Features to reduce costs, increase productivity, and grow your profitability potential. Denovo focuses on efficiency and ease of use to add value to your practice, help capture more billable time, and automate burdensome document generation. You benefit from greater productivity and the potential for increased profitability. Matters can be organized by Category and Subcategory, include unique descriptions and case numbers, and more. Keep all notes, time tracking, documents, forms, tasks, and associated people in one place organized by unique cases, providing you with a means of elevated record management. Document Automation in Denovo enhances your productivity and supports the production of error-free documents. Use Forms to quickly and automatically populate the documents that you use every day with Client and Matter specific information. Time Tracking is hard. Experience an easier approach to Time Tracking with Denovo. Record time entries with ease within Matters, Contact Records, or under Your Time. Using our handy Denovo Time Widget, you can easily record minutes in real time, pin active time cards for ease of use, and more. Time tracking can be customized to your firm's billing standards. Keep track of all of your contacts within the people index. Records can be individuals or entities. Keep up-to-date information on all of your contact records including phone numbers, email addresses, mailing addresses, associated people, important information, associated documents, notes, tasks, and more. Generate professional and accurate invoices for your clients through our streamlined invoice generation, approval, and submission process. Our invoices are easy to understand, fully functional, and associated to related Matters and People for records organization. Exchanging information with your clients has never been easier. 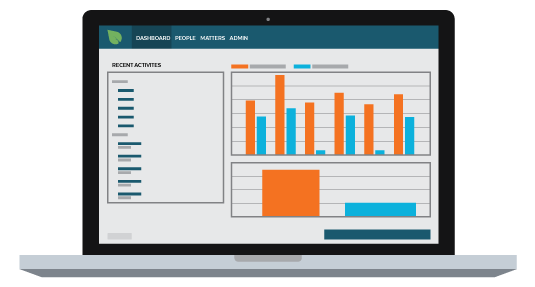 With our in-development client web portal, give clients the opportunity to provide their data in our secure portal, schedule meetings using an integrated calendar, make payments, and more. Matters can be organized by Category and Subcategory, include unique descriptions and case numbers, and more. Keep all notes, time tracking, documents, forms, tasks, and associated people in one place connected to unique cases, providing you with a means of elevated record management. 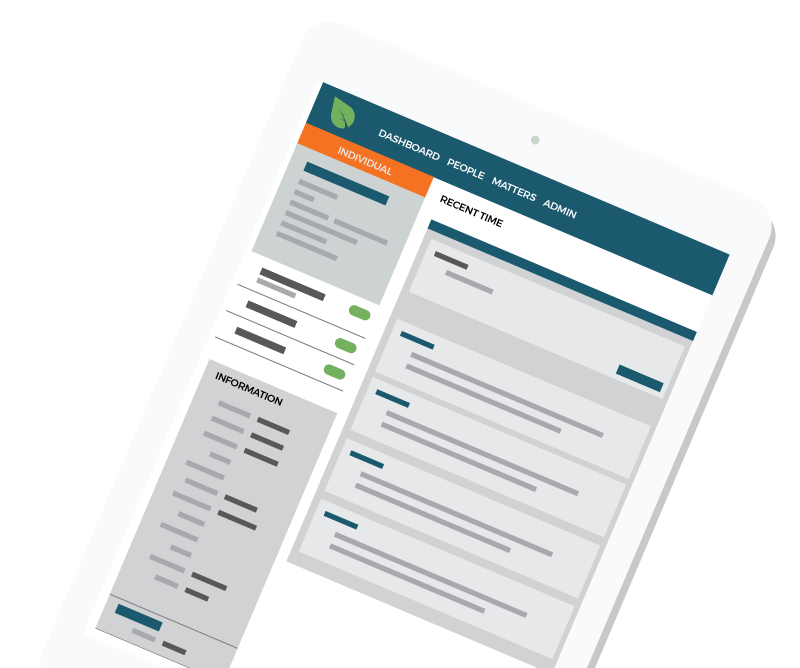 With Denovo’s easy-to-use reporting capabilities, you’ll gain more insight into your law firm and case load. Easily export Time Card records for analysis or export Organization Time in Xero Import format. Easily create tasks, flag priority, assign due dates, and search through your To-Do list. Create Tasks for yourself or members of your team. Tasks assigned to you are located in your Dashboard to help keep you on track. 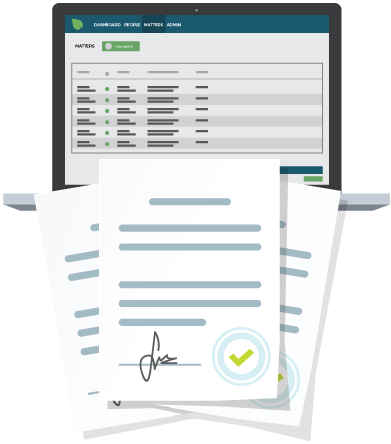 Starting from scratch to create a legal document is unnecessary with Denovo Marketplace. Avoid profuse amounts of research and allow Denovo to provide legal documents made by experienced attorneys that are customizable to comply with your clients’ exact needs.